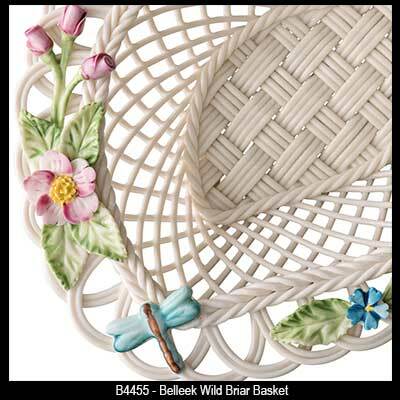 Belleek crafts the most intricate lace china baskets; imagine how each strand is precisely woven to create these exquisite creations. 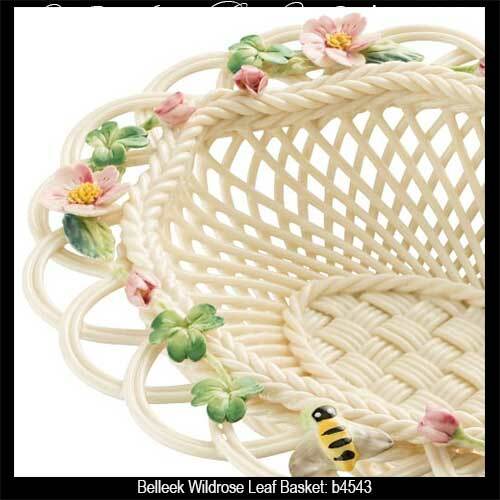 Each Belleek basket receives meticulous flowers with each petal and leaf handmade and hand painted. 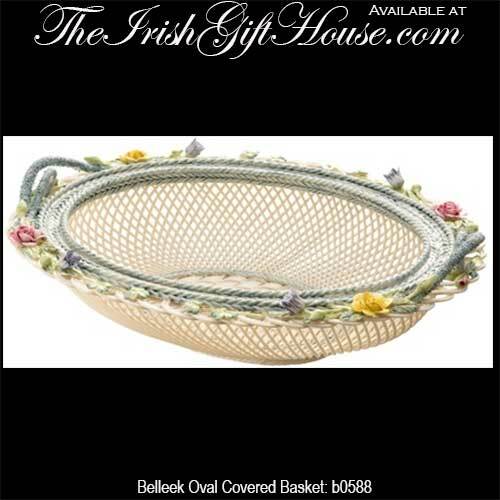 A Belleek basket is truly a wonderful work of art from Ireland. 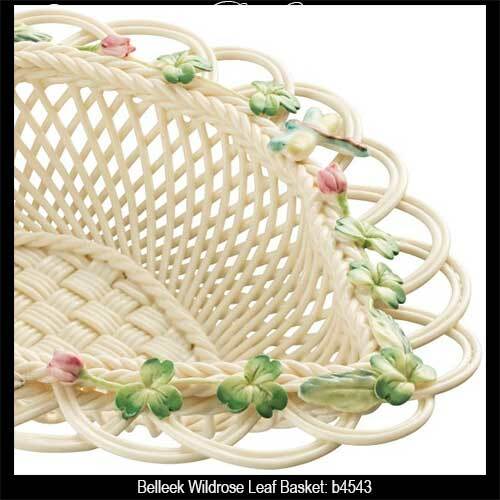 Belleek has been creating their baskets since the late 1860's when William Henshall first introduced the basket making skill. 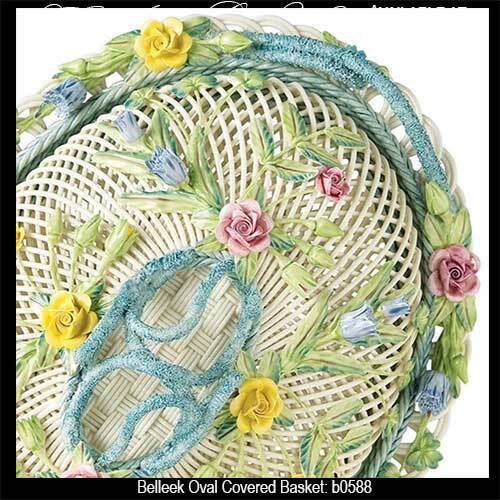 Henshall's endowment has been successfully entrusted through the generations at the Belleek pottery and continues today. 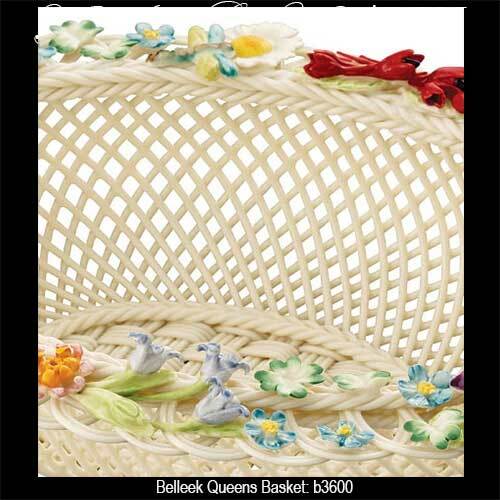 Belleek basket is an oval design that features embellished handles along with an enhanced cover with flowers and shamrocks. 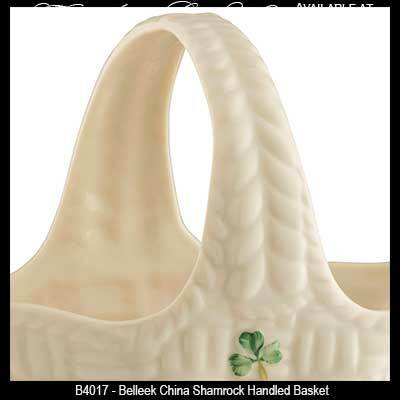 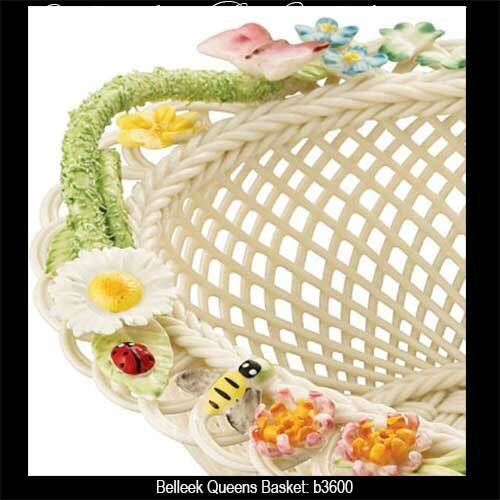 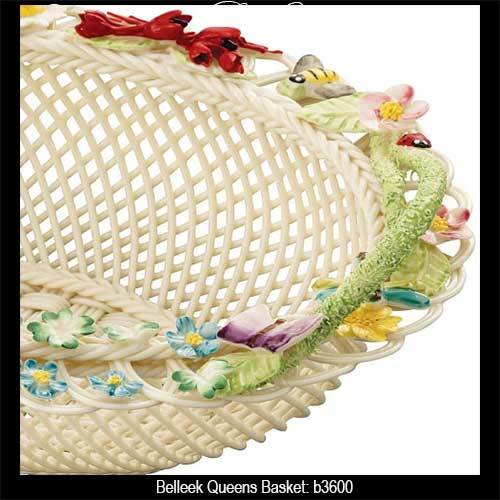 Belleek queens basket features embellished handles along with flowers and shamrocks. 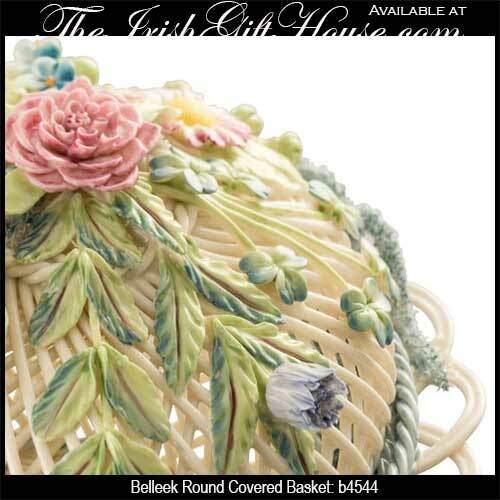 Belleek basket is a round design that features a cover that is embellished flowers and shamrocks. 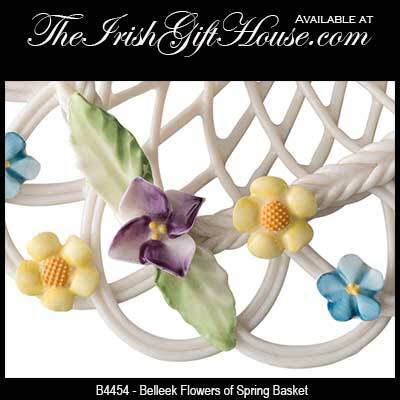 Belleek basket features flowers and elements that depict Ireland's four seasons of the year. 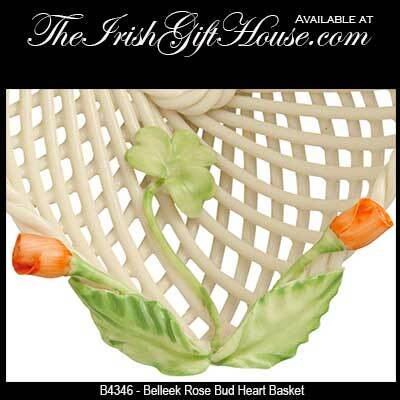 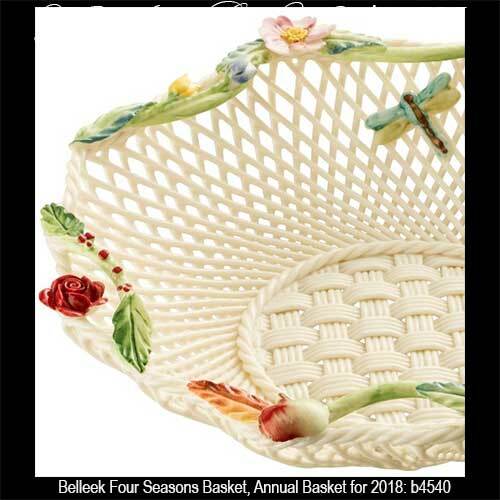 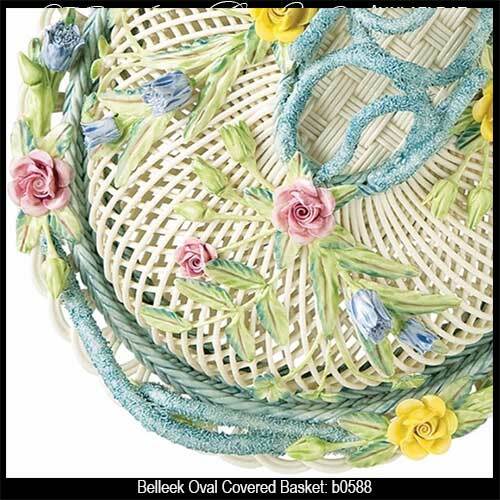 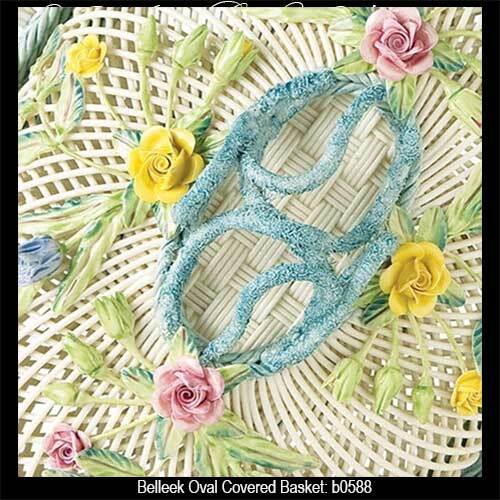 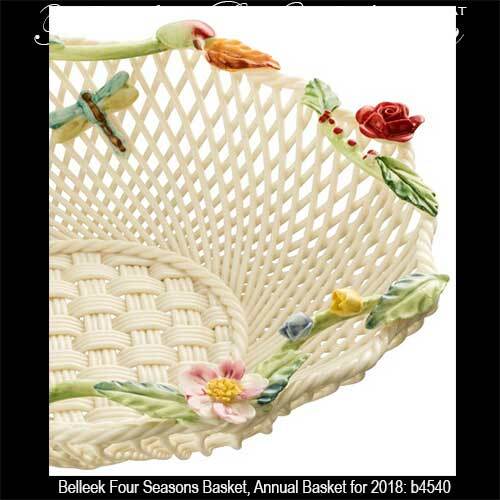 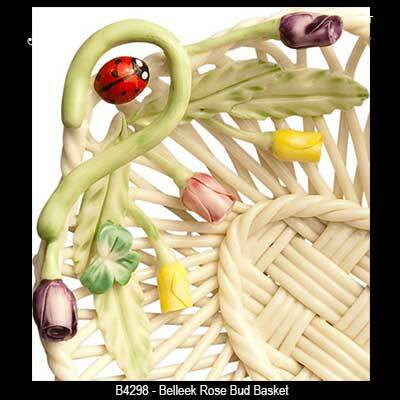 Belleek basket is in the shape of a wild rose leaf that is enhanced with shamrocks and roses. 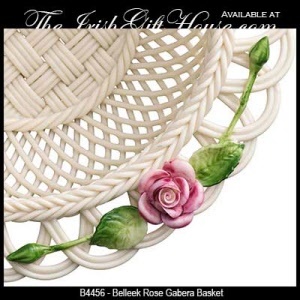 These baskets are truly fine works of art and you will also find this weaved china design in some of the Belleek ornaments that are offered at The Irish Gift House. 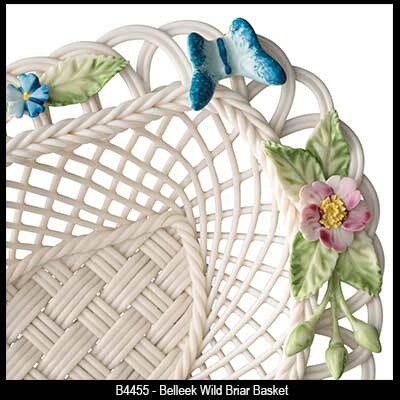 You may also be interested in the similar basket weave design that is embossed on much of the Belleek dinnerware; you may notice that the basket weave is prominent throughout the collection and will find it on various pieces that include Belleek vases and also on some of their picture frames.